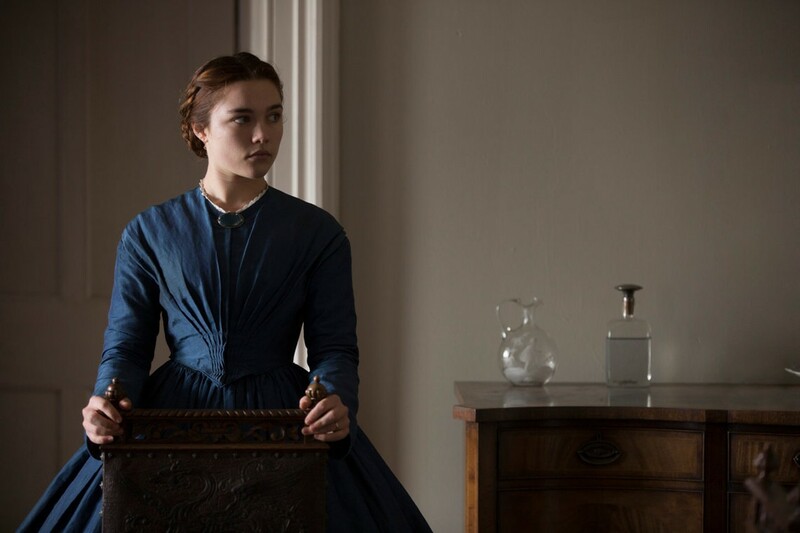 Florence Pugh in "Lady Macbeth." What starts off as a genteel period film, the chilling "Lady Macbeth" gradually reveals the irreparable rot at its core. Set in 1865 rural England, the film tells the story of 17-year-old Katherine (Florence Pugh), who as the story begins, has been sold into a loveless marriage to Alexander (Paul Hilton), a man more than twice her age. A cold and generally terrible man, he treats her with contempt, making it quite plain that he has little interest in Katherine outside of her ability to bear him an heir. During the day she's left to her own devices as lady of the house. At least partially out of sheer boredom, she begins an illicit affair with the manor's brutish groomsman, Sebastian (Cosmo Jarvis) -- and the decision leads her to indulge her desires with ever darker and more desperate actions. We have sympathy for Katherine early on, but those feelings gradually curdle into something else entirely as it becomes apparent the film is transitioning into a character study about the making of a psychopath. Contrary to the title, "Lady Macbeth" is not a Shakespearean adaptation, but takes inspiration instead from Nikolai Leskov's Russian novella "Lady Macbeth of the Mtsensk District" (which later became a famous opera by Shostakovich). Underlying the story are ideas of race, gender, privilege, and power: white men control the world, but the only people Katherine has any power over are the ethnically ambiguous Sebastian and her black maid, Anna (Naomi Ackie, conveying much without the benefit of words). As the one whose duty it is to tend to Katherine, Anna faces the consequences of her mistress's behavior. 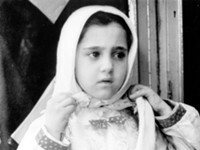 Made to be a silent witness, she sees Katherine for who she is, but is unable to do much of anything about it. At the film's center is a captivatingly bold, fearless performance from Pugh. Her Katherine is capable of unimaginable cruelty, proving herself perfectly able to use anyone around her as a stepping stone to a better life. In his first feature, William Oldroyd, a British theater director, uses an unnerving stillness that belies the bitter emotions roiling beneath every scene. Cinematographer Ari Wegner casts the world in dreary grey tones, complementing the claustrophobic, chilly, and ultimately brutal tale carried out with a ruthless precision. Check back on Friday for additional film coverage, including a review of the documentary "Rumble: Indians Who Rocked the World."